I have been scanning in old photos to make a memory DVD for my brother’s 50th birthday this weekend. I came across this photo and thought that I’d like to share some of my “vintage” sewing projects with you. 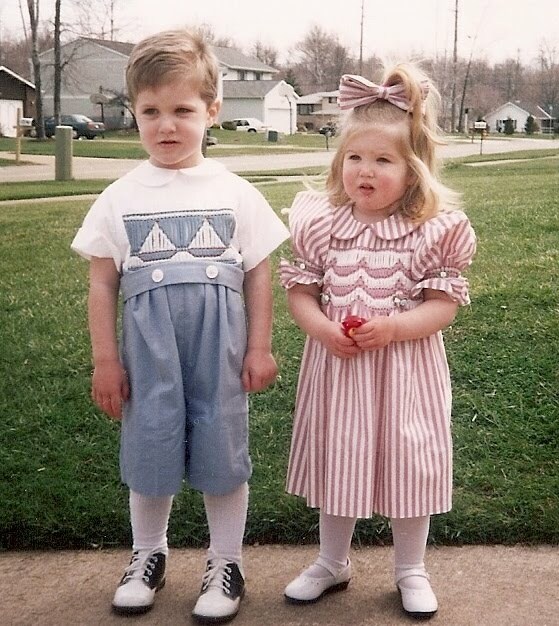 I made both of these outfits using a special smocking technique on striped fabric. The manipulation of the stitches brought together either the light or dark stripes to create patterns. This photo brings back memories….of life before teens… The kids now stand in front of the tree in the middle of the yard! Where does time go?